Just a couple of months ago we learned via a Spokane Journal of Business article that the YMCA of the Inland Northwest intended to open a third Y location somewhere on South Hill. At the time of that article however it indicated no sure location and the assumption was, while it was planned, it would take some time. But, all that has gone out the window with yesterday's surprise announcement from the YMCA. The YMCA of the Inland Northwest has acquired the South Hill Gold's Gym location at 2921 E. 57th ( near 57th & Regal ) . The YMCA will convert the Gold's Gym into a new full Y , the conversion will be relatively quick with the changes and new name to take effect sometime around the middle of December. Member's of the Gold's Gym will also be welcomed into the YMCA with new memberships. The new location will actually remain open during the switch with YMCA management adding $250,000 worth of new fitness equipment. The new South Hill YMCA will also offer several new programs like the LiveStrong program for cancer survivors, a diabetes prevention program and a summer day camp . Plans also call for a new family activity area. Ok, so I don't usually post links to Spokesman Review articles but tonight they broke the news big business news and I just don't have enough info on this to post about this myself just yet. So a link to the article is located lower in this post. Looks like Spokane is in the running for an exciting new aerospace manufacturing facility. Spokane is one of 3 cities in Washington to potential get the new plant from Boston based jet aircraft start-up Spike Aerospace . The company is developing a new jet that can travel from NYC to LA in just over 3 hours! Interestingly enough the article hints of a land sale for a 300,000+ sq foot building that may or may not be for this company. It also indicates another smaller aerospace company might also be eyeing land here for some sort of facility. Both of those sites are on the West Plains near the Spokane International Airport. Construction work has already begun on what is probably the coolest building re-development in Downtown Spokane for sometime. The project involves basically a complete re-build of the building that formerly housed the Carr's Corner bar at the corner of 3rd & Washington on the south side of Downtown Spokane. 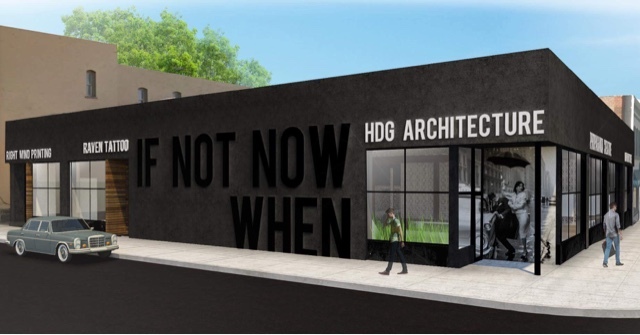 HDG Property Holdings, with financing from Numerica, is replacing the exterior, HVAC , windows ( switching to energy efficient windows ) , roofing , polishing stucco in jet black and more to convert the building for multiple tenants. 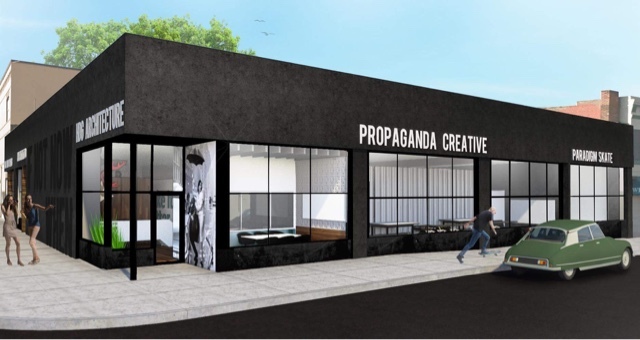 Two of those tenants are from the owners themselves , both HDG Hissong + Hurtado Design Group and Propaganda Creative will relocate their offices to the building from another site near the Ridpath elsewhere in Downtown. Together they will occupy about 3800 sq. feet of space directly at the corner in the building. In addition to these two companies some smaller storefronts will be re-built and occupied by other business. These businesses include Paradigm Skate Shop, Raven Tattoo and a new tenant Right Mind Printing a growing apparel printing company. In addition the all new look the existing large billboards will be completely removed and an existing small parking lot in the back is being turned into a park for all who occupy the building. The re-development project is estimated to be completed sometime just after Christmas. The building owners also plan on renovating more buildings as often as possible so keep watching as we're confidant we'll see more exciting projects from them in future. Boot Barn to have grand opening for it's new Spokane Valley store in early Dec. The Boot Barn , an Irvine ,Ca based chain of boot and western wear retail stores has made it's way to our area with the recent opening of a new location in Spokane Valley. The store is already open for business and the chain will host an official grand opening from December 2nd - 4th . Many items will go on sale during the grand opening like $20 off regularly priced boots over $100 and $5 off all jeans. The new Spokane Valley Boot Barn is located in a 10,887 square foot space at 5605 E. Sprague Ave, nearby the Valley Costco store and in the same small plaza as Dollar Tree and The Country Store. The store like most Boot Barn locations sells boots, lots of boots in fact. But in addition to the boot selection customers will also find jeans, hats, shirts , belts , protective work wear and other accessories for western and work. Some western themed gifts, toys and home décor items might even be found at the store. Customers of the new Boot Barn will also find some popular brand names in the store with such brands as Wrangler, Justin , Carhartt, Miss Me, Keen, Timberland Pro and many more. The chain also carries some exclusive brands like Cody James , Shyanne and even Moonshine Spirit by Brad Paisley a line of contemporary boots, apparel and accessories. Boot Barn has been in business since 1978 , now operating over 200 stores in several states. The company is the official western wear retailer of the PRCA, NFR , PBR , and they are the official sponsor of the Houston Livestock Show and Rodeo. The new Spokane Valley store looks to be the only location planned for the Spokane market at this time and is an answer for the many Spokane are residents who would shop at the company's other out of area stores. Until now the chain's closest stores we're in Kalispel & Missoula,MT . California based Bedrosians Tile & Marble is investing in the Spokane Valley with an all new warehouse & showroom building along 1-90 near the Barker Rd. exit . 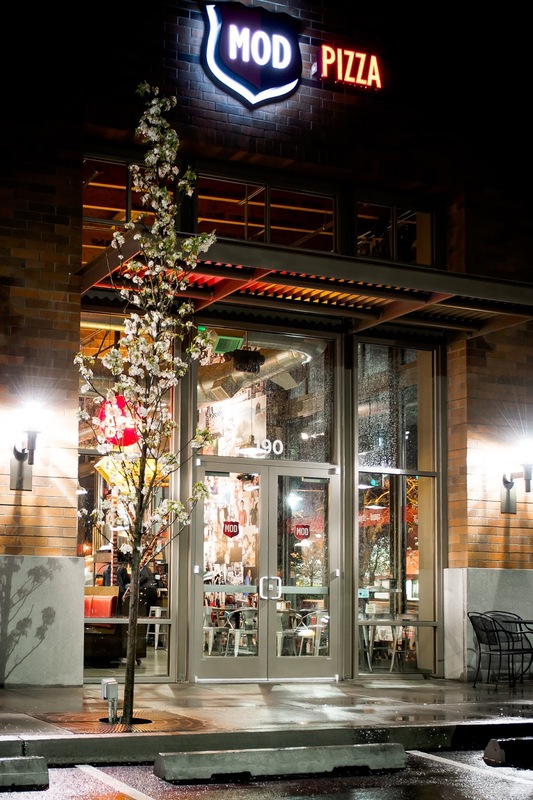 Bedrosians acquired Oregon Tile & Marble recently and decided to move forward with Oregon Tile's long standing plan to open at the site which sits at 19119 E. Broadway in between Barker Rd & Country Vista Blvd. . The new building will replace the company's current leased space in the Spokane Business & Industrial Park. Plans call for Bedrosians to construct a 41,000 square foot building there with 13,000 square feet set aside as Tile & Marble retail showroom and sales offices. In the middle of the building will sit a 19,000 square foot warehouse, bringing the company's new location to 32,000 square feet nearing in on triple the amount of space they had in the Business & Industrial Park. The remaining 9,000 square feet , which will likely face Broadway itself , will be leased out to another business that has yet to be named. Bedrosians Tile & Marble has been in business since 1948 with locations in 8 states and their products in such high profile projects as the MGM Grand in Las Vegas . They offer over 5000 stone products and work with you on both commercial and residential construction projects. The new location is expected to open sometime in the Spring. Additionally of note a second large construction site is also underway about 2 doors to the east of the Bedrosians site. It is not affiliated with this project and instead appears to be a new building for Kidds Dental , which is currently not far away in Liberty Lake. We'll have more on the separately as we are still waiting to hear back from the dental practice. Mod Pizza is taking Spokane by storm! the Bellevue,WA based chain of made to order personal pizzas opened their first location in Spokane in 2015 at the South Hill's Regal Plaza development. Since then they've opened in Coeur d' Alene and even one right in the heart of Downtown Spokane. But November 2016 has been a big month for the growing company as they have added 2 new stores in the Spokane area this month. And, although we know of no additional locations planned we can only assume there are more locations on the horizon. Today is the opening day for the second new Mod Pizza which is now open for business in the Shadle Park Shopping Center at 2503 W. Wellesley Ave Ste. A it opened today at noon. Earlier this month the new Mod Pizza at the Hertiage North Shopping Center in North Spokane, it is one of three new tenants in the completely re-built shopping plaza at 9405 N. Newport Hwy in between The Y and the Northpointe Shopping Center. Mod Pizza is among the fastest growing restaurant chains right now with the company itself only being founded 8 years ago in Seattle. Today the company has over 150 restaurants with locations in both the US and the UK . It's name is an acronym for " Made on Demand " which is how they make their pizza's . Mod Pizza uses a similar concept to Subway in that customer choose their pizzas and then they are ran through a 800 degree oven for about 3 minutes allowing for a fresh custom personal sized pizza. With the open enrollment period underway for health insurance under the Washington State Health Benefit Exchange ( also operating as Washington Healthplanfinder ) many are finding themselves confused. With so many plans, so many different prices it can be hard to figure out what works best for you. And while Washington Health Plan Finder provides a website to compare plans and sign up ( link below ) and a phone number manned by friendly voices in a Spokane Valley call center to assist you sometimes it can help to sit down face to face with someone who can answer all your questions. Hence the reasoning behind Washington Healthplanfinder opening 2 new brick & mortar storefront offices. One of these locations opened recently at 2001 N. Division north of Downtown Spokane , the other is in Vancouver on NE Vancouver Mall Dr. The exchange explains the reason for choosing Spokane & Vancouver for their first store front offices is because both cities are located in counties with a high percentage of uninsured residents. The Spokane Washington Healthplanfinder storefront occupies the front half a recently renovated office building. The space is a little over 5000 square feet and is fully staffed by experts Mon - Fri 10a - 6p , Sat. 10a - 2p and closed Sunday . The Spokane location uses the Washington Healthplanfinder name but is managed by Better Health Together. The unique Saranac Commons building in Downtown Spokane ( 19 W. Main ) is growing by one with this weekend's opening of yet another awesome locally owned and operated retail shop in the building. That business is Parrish & Grove Botanicals which will be in suite 2b and while the space is small it is a plant and flower lovers dream come true. Parrish & Grove describes themselves as " your local purveyor of botanical curiosities " . Customers can create their own unique bouquets of flowers , purchase exotic house plants and even build a miniature ecosystem with something completely new to Spokane , a terrarium bar .The business plans on offering workshops soon and even a floral subscription delivery option in the near future. Saturday, Nov. 19th will be Parrish & Grove's first day of business , which they will kick off with a grand opening celebration. The grand opening will be from 10 - 7 with prizes , specials and the first 20 customers at the business will receive a mini bouquet compliments of Numerica Credit Union. And, what's even better? while your at the Parrish & Grove grand opening you can also stop by the other shops & eateries that make up the Saranac Commons building, a unique hidden gem on the eastern edge of Downtown. 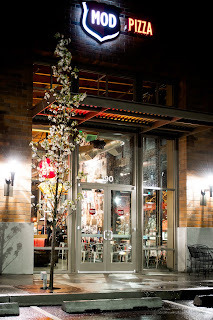 In addition to Parrish & Grove the building is also home to Caffe Affogato , Mediterrano ( Mediterranean restaurant ), Common Crumb Bakery , Black Label Brewing Co . and Sun People Bed & Bath , with many more unique local shops also in the same block. Many in Coeur d' Alene already travel into Spokane to take advantage of the 2 Spokane area locations of Cash & Carry Smart Foodservice ( 211 S. McKinnon in Spokane Valley & 7630 N. Division in Spokane). But in the coming months the Lake City will have a location of their very own. Although an opening date and even a timeline for construction have not yet been confirmed the company is planning to build a store just a couple of blocks north of I-90 in Coeur d' Alene. Plans are for a 20,000 square foot store to be built at 208 E. Best Ave. on the vacant parcel behind Wendy's & Atiliano's . The company's Cash & Carry stores are primarily geared towards business customers like coffee stands and restaurants with a more of a bulk item / large quantity sales method. Despite the sales being geared towards businesses , the stores are open to individuals as well. All of their stores are open seven days a week and include name brand groceries, meats , produce, catering supplies , janitorial supplies and much more. Cash & Carry Smart Foodservice is chain of 50+ stores throughout the Northwest & Nevada. It's headquarters is in Portland although it is a part of the larger Smart & Final company which is California based and operates multiple brands of similar stores. Spokane has a new radio station, this one claiming to play the " legends of rock " with a format that includes legendary classic rock artists like Jimi Hendrix, Foreigner , Styx and many more. The station has a relatively weak signal but should be able to be heard in all corners of Spokane. The station operates as OZ 95.7 FM with the call sign KYOZ . It is a locally owned and operated radio station , with the owner Radio Station KMJY,LLC operating it and another station out of space in the Northtown Office Building at 4407 N. Division . Oz's sister station is 104.5 Hank FM , which has a similar format concept, except it plays legends of country and other classic country songs. OZ 95.7 is heard on 95.7 FM as stated by the name, however 95.7 is actually a translator station of the main station on 1330 am. Radio Station KMJY,LLC acquired the station at 1330 am from the Moody Bible Institute back in October. Before the transition to the new format the 1330 station had been playing religious programming in Spanish and was the only station in Spokane to broadcast solely in Spanish. Garco Building Systems, a manufacturer of steel buildings with a large facility in Airway Heights has announced they plan to close that plant immediately. At the time of closure Garco employed 112, all of which will be laid off. An additional 50 who hold positions in the company's offices ( at the same site ) will stay on board however. The closure is unexpected despite what they report as a recent slow down in the demand for their company's buildings. Garco Building Systems is owned by the Houston based NCI Group who will likely shift what orders we're being done in Airway Heights to other NCI Group facilities. Garco Building Systems does bear the same name as popular local construction company Garco Construction, and while that Garco was originally a part of Garco Building Systems the two are actually two separate company's and have been for sometime. The move to close the Airway Heights facility is unexpected due in part to Garco being in a similar industry to Seaport Steel who has been in growth mode. The Seattle based Seaport Steel recently built an all new 60,000 square foot at 2634 S. Hayden Rd only a short distance away from Garco. No word from Seaport Steel if the company has any current job openings in our area however. Garco Building Systems facility is located on the southern side of the City of Airway Heights at 2714 S. Garfield Rd . It is not confirmed but believed the building will go up for sale or lease in coming months. Open for only a few years now at their original location in Downtown Coeur d' Alene , The Wellness Bar is an obvious success with the recent opening of a third location in Post Falls. The new Post Falls Wellness Bar is located at 900 N. Hwy 41 in the River City Plaza shopping center which also is home to a Anytime Fitness. This location is the third location for the business after they also opened a location in the Hayden Creek Plaza ( 8110 N. Government Way ) about a year ago. The business is locally owned and operated and offers fresh pressed juices, smoothies , espresso and teas in a wide variety flavors . Health friendly food items are also available like acai bowls and quinoa salads. Trovato Interiors is perhaps one of the lesser known home goods and furniture stores in Spokane. This is possibly because the locally owned and operated business is in small storefront behind a Pawn 1 in Spokane Valley ( 18 S. Union Rd. ) . But the business is growing and soon will be a space that's not only more prominent to commuters but also significantly larger. The business recently announced they will be relocating to a 7500 square foot building 9919 E. Sprague which will give the business more sales space and more parking. 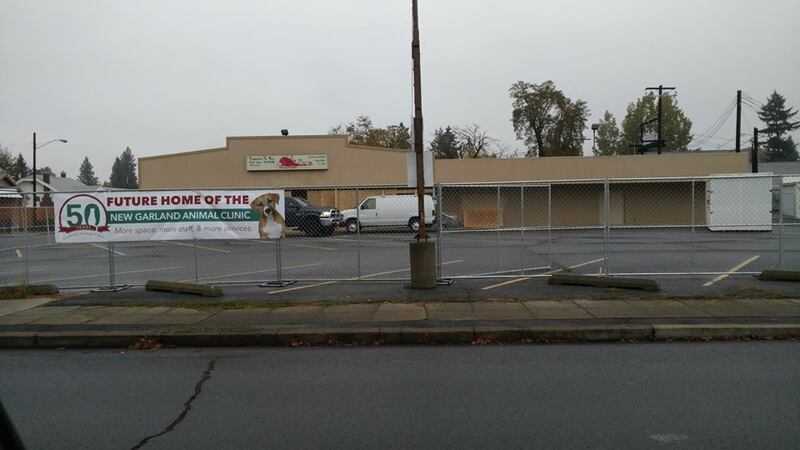 The new store building is the long vacant former home of World Wide Travel in the U City area of Spokane Valley. They hope to be open for business there sometime shortly after Thanksgiving. Trovato Interiors sells custom order Norwalk Furniture in addition to home décor accents & accessories , wall art and even some antique and vintage pieces for the home. Design services are also available upon request. The new Panera Bread at US 95 & Prairie Ave in Hayden has been open for almost 2 months now. And Junior's Barbeque in the same development earning positive reviews from Spokane How's Business after only a few months in business ( that article here- http://www.spokanehowsbusiness.com/news/archiveStory.asp?theArticle=4531 ) . But these two new restaurants are apparently only the start of some new places to eat for the suburban felling city just north of Coeur d' Alene. 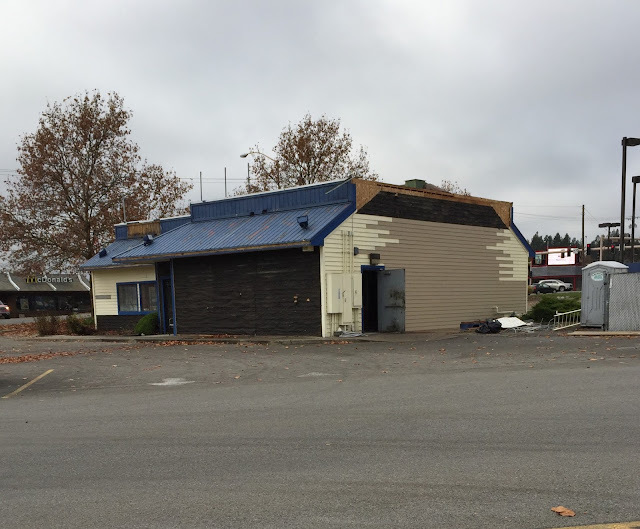 On the far northern side of Coeur d' Alene at 327 W. Hanley Ave. has sat a vacant fast food restaurant since it's tenant Skipper's made the long move across the parking lot to inside the Silver Lake Mall. But as is evident in the photo above work crews have descended on the building and judging by the view through the open back door the space has been mostly gutted. Plans are for the former Skipper's building to be remodeled and converted to a location of the Dickey's Barbeque Pit chain. This will be the company's first location in North Idaho, however it is the same chain that operates two stores in Spokane, one in the Wandermere area and a relatively new location on Sprague in Spokane Valley. A few years after Papa John's made an abrupt exit from both Coeur d' Alene and Spokane, the pizza chain is making it's return to the North Idaho pizza market with a new franchise opening soon in Hayden ( Papa John's returned to Spokane well before North Idaho, and now several locations operate there ) . The new Hayden Papa John's is in the same shopping center as the Hayden Super 1 grocery store in the space that was a short lived restaurant called Lava Dog. We don't have an opening date yet but it should open within the next few weeks and will deliver. Just north of the city limits of the City of Hayden at the corner of US 95 & Lancaster Rd. is a construction site for a new gas station / travel plaza. That business will be called Lancaster Market and once completed it will house a San Francisco Sourdough Eatery location. Both the San Francisco Sourdough & the gas station are too open sometime in January. 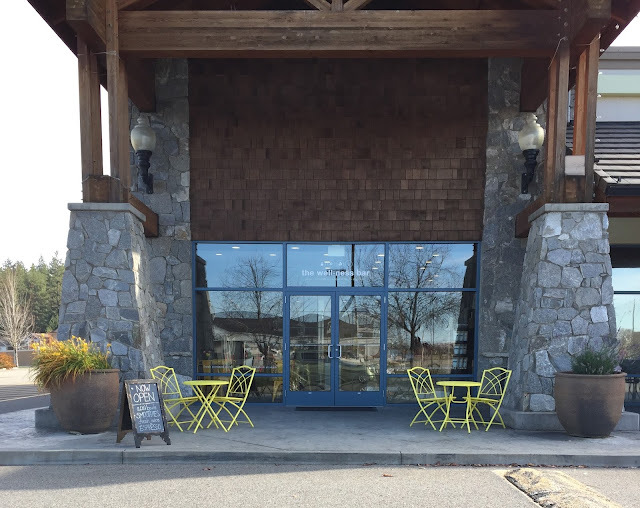 Also... To the south of Hayden, further into Coeur d' Alene we're seeing a couple more new restaurants which we will likely share in another post. One of which being Gross Donuts ( is that really the best name they could find? ) in the former Freedom Burrito building at US 95 & Cherry Ln. .There is a rumor that Gross Donuts is a branch off of The Donut House in Hayden, given that Gross is that business owner's last name but they recently cleared that up, that they are not affiliated but hinted that Gross Donuts is owned by a family member of there's. Some construction work has also started for Cosmic Cowboy Grill which will occupy the front building at the Appleway Square shopping center ( US 95 & Haycraft Ave. ) . We're honestly not sure of exactly what the menu will be like at Cosmic Cowboy but they are doing a full remodel of the small building that used to house Wigs & Things and a picture framing business. With 50 years of operation under their belt, the Garland Animal Clinic ,currently located at 623 W. Garland Ave., has built a reputation as one of the best veterinary clinics in the Spokane area. But the positive reputation has made the business grow to the point that it is now outgrowing it's current home. Garland Animal Clinic is remedying this with the recent announcement that the clinic is relocating, but still staying in the Garland District, just in a larger and more prominent location. Renovation work is already under way to covert the former Garland Liquor Store building at 1022 W. Garland into the new home of the Garland Animal Clinic. The new location will offer the vet clinic 6500 square feet of space, up from the 2500 they previously had. The more floor space will also allow for 2 more exam rooms, giving them a total of 5. They also will be able to add dental x-rays and perhaps other new services. There is no exact completion date for the remodel / move of the business but they tell me if all goes as planned the work phase should take about 3 months, meaning an opening at the new location sometime in first half of 2017. Garland Animal Clinic is made up of 5 experienced Veterinarian's who provide quality care most any pet. Their clinic is a full service vet's office with comprehensive medical , surgical and dental care. What's going in out front the Post Falls Wal Mart? I've been getting a few questions asking what is going in the front half of the Post Falls Wal Mart store ( the one on E. Mullan Ave.) . A large block of the parking lot has been dug up and construction fencing surrounds the mystery site. So, just what is the reason behind all this new construction? The answer... a new gas station. The gas station will be among the first group of Wal Mart owned and branded gas stations. In the past Wal Mart has partnered with other gas station operators to lease gas stations on the their stores properties, but a few months back the Arkansas based mega retailer made the decision to end this tradition and brand their own gas stations. In addition to the decision to convert to Wal Mart branding the company also announced they plan to aggressively expand the gas station concept, meaning perhaps Post Falls won't be the only Wal Mart gas station location in our area? The Post Falls Wal Mart gas station should be open by the end of the year but no specific opening date has been set just yet. Exact plans aren't available but many of the other Wal Mart gas station locations have included a small convenience store or at the very least a small building to pay at. Having a gas station at Wal Mart is nothing new for Post Falls, just not in recent years. The site that is now occupied by a Burger King was once a gas station leased by Wal Mart to Tesoro which operated under the Mirastar gas station branding. That gas station however was demolished and eventually converted to the site of the fast food restaurant that stands there today. For the last month or so it's been a bit slow in finding stories about new businesses in the Spokane & Coeur d' Alene area to post about on this site. But, don't think that because there is a couple of days in-between posts that I'm not hard at work finding out your answers to the question " Hey, what's going in there? " I have numerous sources I check regularly to gather info, and have a few contacts in key fields that I rely on for other info. Even now I have 60+ possible story leads and I don't post it till I have enough info and it is confirmed to be actually happening. - A possible new Sonic restaurant on Newport Hwy. - The former McKinley School building being converted into a " McMinnamin's " style development with a brewery and couple other venues. And, there is still more I'm watching. If there is something you've heard that you'd like added to the list e-mail me at inlandbusiness@yahoo.com . If have info about any of these ( or another new local business ) also e-mail me! And, for those of you who may have e-mailed in info on your business and I didn't post it, I apologize. I get a lot of e-mails about new home based businesses, websites, apps ,etc... I simply don't have enough time to share all of these. Site work has already begun and coming soon signs have been posted in the dirt for a large new multi-tenant commercial development planned along Hayford Rd in Airway Heights. The development will be mostly geared towards businesses in the automotive and racing industry and will be developed by local business man George Lawerence who is perhaps best known as the cowboy hat wearing spokesperson in the TV ad's for Consumer Auto Liquidators. The site itself also bods well for just such a project, that's because the development is adjacent to Spokane Raceway Park and will surely also benefit from being just north of Northern Quest Resort & Casino . This might be part of the reason why the project isn't even built yet and already a handful of businesses are already locked in to open their businesses there. A franchise of the Coeur d' Alene based Garagetown USA chain which features garage/shop space leased out for storage or work space. Garagetown is a mostly a storage condo concept meaning more room and accessibility then it's smaller counterparts in mini storage. Starting with just 20 RV spaces on opening day I'd assume we'll see an expansion of this soon as the demand will surely be very high. The spaces will both power and water hookups. Also in the works in an auto repair facility specializing in the race cars where drivers can actually just drive off of the course at Spokane Raceway Park and into the shop for service. All of the development is currently planned to open sometime in 2017. George Lawrence is also a co-developer behind the new Bighorn Industrial Park just north of Post Falls. That development is still in the works with a couple of the lots now spoken for and many more still up for sale. Another phase of building has been underway for a few weeks now to add another 190+ apartments onto the already large Granite Point Apartments development just west of the YMCA in Spokane Valley. But unlike past building at the site this phase of development won't be entirely residential with plans calling for an un-named retail shopping center to be built at 12930 E. Mansfield Ave right in front of the apartment buildings. The commercial building will be a little over 7,000 square feet and dividable for up to five separate businesses. The building is off the main roads of the area ( Pines & Indiana ) but perfectly positioned for the many residents that live in the area. In fact, with the area being largely populated by apartment complexes there are over 1000 residential units just within a half a mile of the site, making the site a dream come true for restaurants, coffee shops, banks, really any neighborhood type of business. 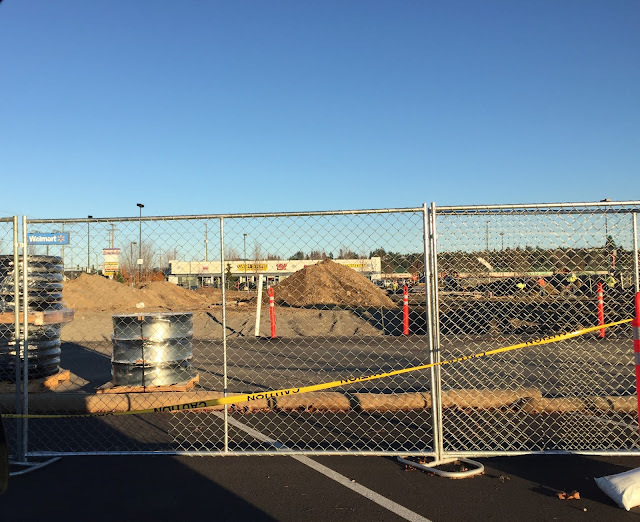 Footings are already in for the new shopping center but the developers are kind of in a temporary holding pattern while they wait on businesses to lease space there. Leasing is being managed by SDS Realty,Inc. who says they do already have a few prospective tenants interested but no one actually lined up to move in just yet. Space in the shopping center is leasing at $12 per square foot and a tenant improvement allowance is available. The building will have on site surface parking provided and there is potential for a drive through at a couple of the units. We'll keep an eye out for when we might see businesses move in here and who they may be. 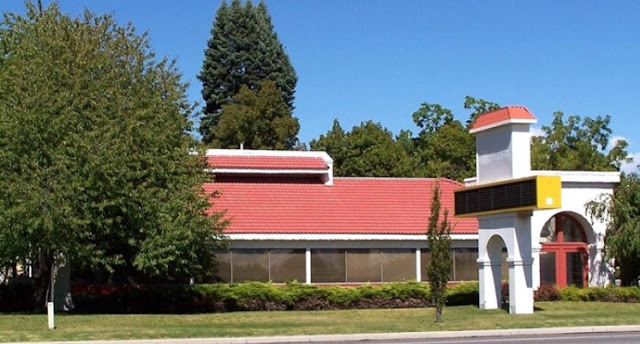 If you are interested in leasing space contact Levi McCormick ( 509-462-9306 / levi@sdsrealty.com ) or Charlie Wolff ( 509-953-7034 / charlie@sdsrealty.com ) .